I think we could be on the verge of an exciting new space boom. In less than 3 hours from the time I write this, a company named SpaceX will launch an unmanned rocket called Dragon with supplies for the International Space Station. It will have to navigate and dock, things SpaceX has already demonstrated in tests that they can do. This isn’t the first commercial space venture, of course, but it’s the first non-government capsule that will connect to the ISS. Space programs are huge. Can you imagine the industrial competition that will take place to get such massive contracts? Can you imagine the opportunity, the growth, that could easily produce? It makes me very excited. 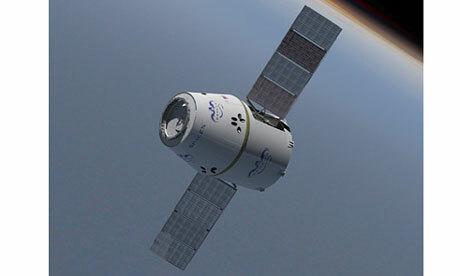 Read more about SpaceX and Dragon here. EDIT: Nooooo! Engine anomaly means the launch is off.